So what is detox all about? The body undergoes a lot of wear and tear both inside and outside so it is important to ensure that the body is taken care of in order to compensate for this. Just like a car engine which needs to be serviced and have its oil removed and changed, the body also has to be detoxified in order for it to function properly and to promote general health and well being. During the course of an individual's life they ingest a variety of foods; some of which are healthy and some of which are not so healthy. The fact is that not all of this food is successfully absorbed by the body as nutrients and not all of it is discharged out of the body as waste products, there are always remnants and these remnants become toxins that are left in the bowel and colon of the body. Over a long period of time, this can have some adverse effects on the body if these toxins are not removed. Detoxifying the body becomes even more important if you indulge in things such as cigarettes, junk food and alcoholic beverages. These things make it even more difficult for the natural detoxifying mechanism of the body to work and it makes it even more important for you to take steps to rid yourself of the toxins that are being accumulated in your body. A lot of the foods which most people eat on a daily basis have a very high acidic content which can have a negative effect on the body if this acidity is allowed to accumulate in the body without being removed at some point. It is necessary for the body's alkaline PH balance to be restored in order to aid the renewal and repair of cells and to promote general well being and a short detox program can do this for you. It is not only important to detoxify the body, it is necessary to do so as regularly as possible in order to maximize the benefits that are obtained from doing so. Furthermore, purifying and keeping your body clean through detoxification is the best way to avoid colon diseases, as well as maintaining a healthy bloodstream and heart. The important thing to remember about toxins is the fact that they are absorbed into the bloodstream and carried to other parts of the body and can lead to a variety of health issues because the body's immunity against disease is weakened by the presence of toxins and waste. So a detox program is highly essential in order to aid the body's ability to fight off disease. Besides the fact that detoxifying your body can help you avoid health problems, there are also a variety of benefits that it can have on your body. It has been advocated by medical specialists that detoxifying your body will improve your levels of physical fitness and promote youthfulness. Participating in a regular detox program will also improve the appearance of your skin and give you more energy and vitality. If you want to detox quickly, easily, inexpensively, without going through flu systems, and with seeing more benefits to the outside of your body, you have found the answer here! 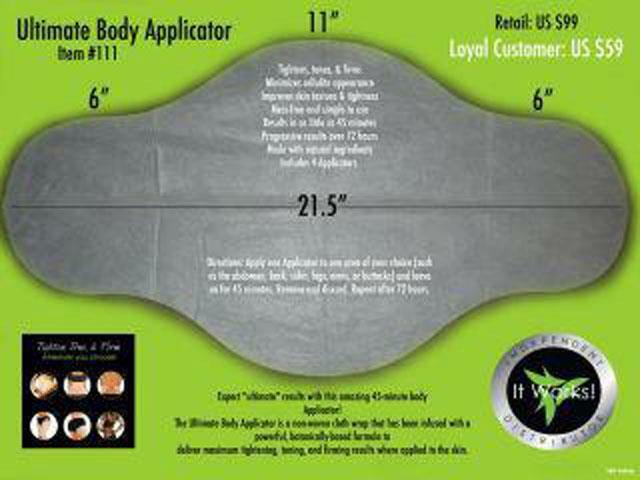 Our most popular way for people to detox is through the Ultimate Body Applicator! It looks simple and it is! 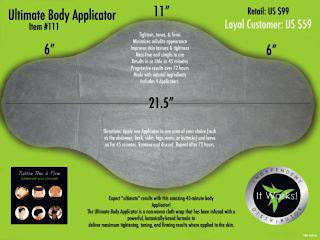 Go to this link to learn more about what it does and how it works! Here are some amazing before and after pictures to give you an idea of what our detox looks like! 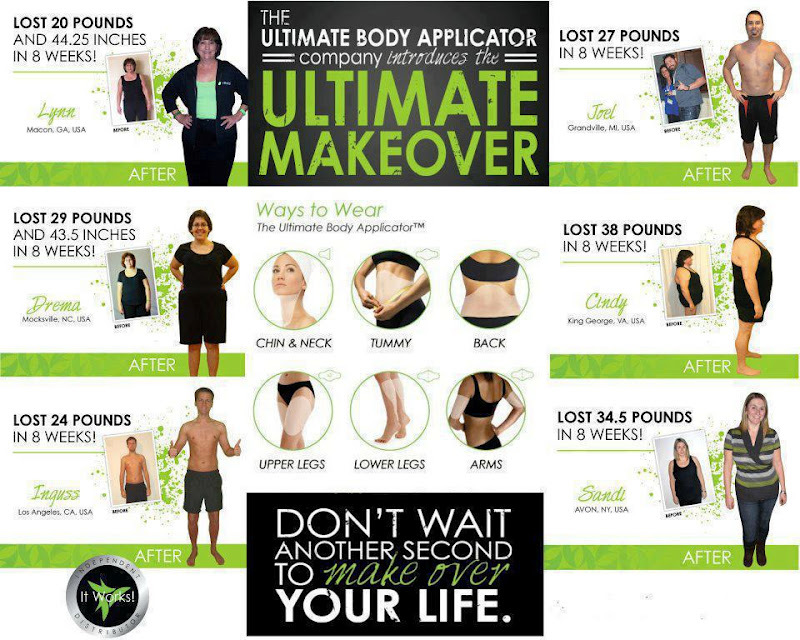 Over 300 people have taken the Ultimate Makeover Challenge with an average loss of 29 pounds in 2 months! Look at the difference in the stretch marks! !